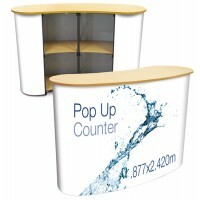 This stylish modular exhibition counter transforms from flat packed to a fully functional piece of stand furniture in minutes and has the option of adding a custom printed graphics panel for a professional looking finish. Quick and easy to assemble and collapse, making them ideal trade show counters and desks, the modular exhibition stand furniture is ideal for use as a meet and greet or demonstration space at exhibitions, open days, product launches, and promotional events. 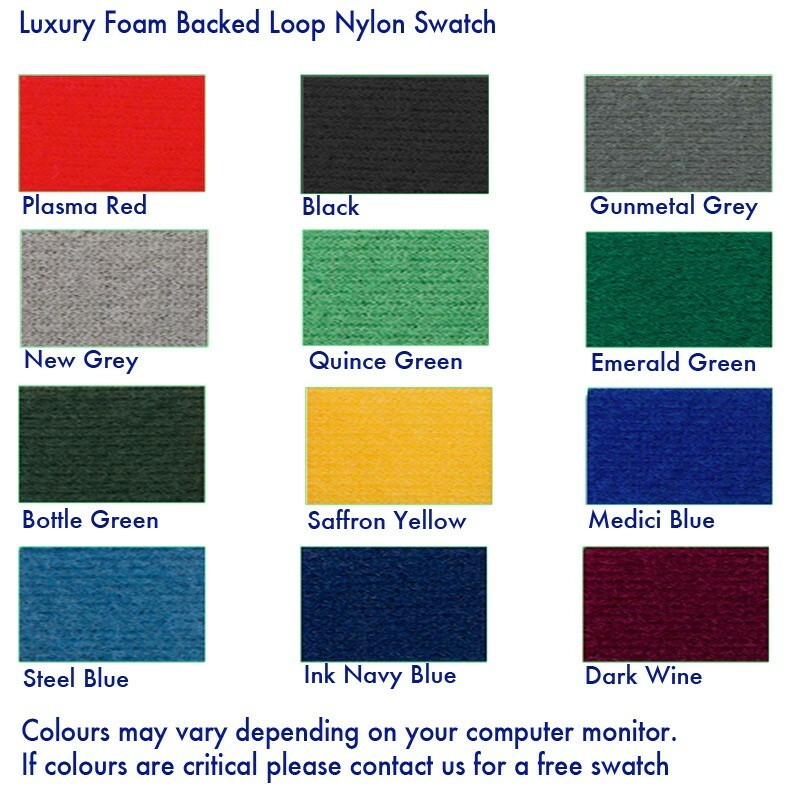 Available in a choice of 13 vibrant colours in a luxury foam backed nylon loop fabric, the counter is made from MDF and flexible MDF, and is finished with a robust worktop which is load bearing up to 75kgs and comes in a choice of black, white, silver or birch veneer. The perfect place to rest laptops, display promotional literature, hold product demonstrations or simply welcome visitors on to your stand, the portable exhibition counter will fit seamlessly in to larger modular exhibition stand spaces. 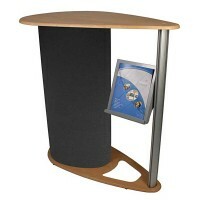 The pedestal comes with a wire kit and can be finished with an optional foamex graphic panel or acrylic poster sheet. 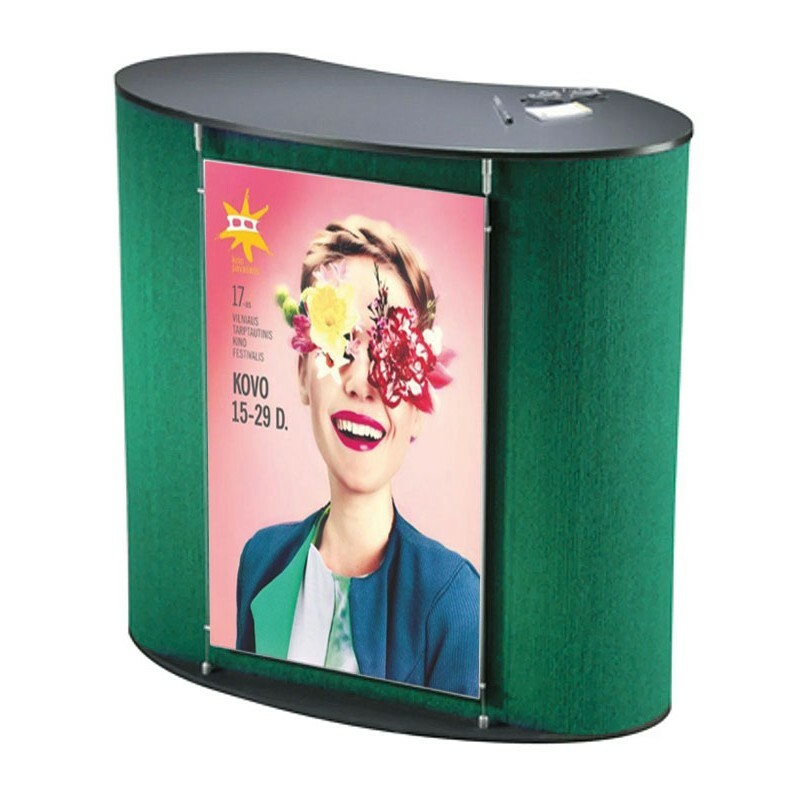 The graphics are custom printed in house using the highest quality materials and state of the art technology to ensure your promotional display benefits from vivid colours and clear, easy to read text to enhance brand awareness and complement your stand furniture. 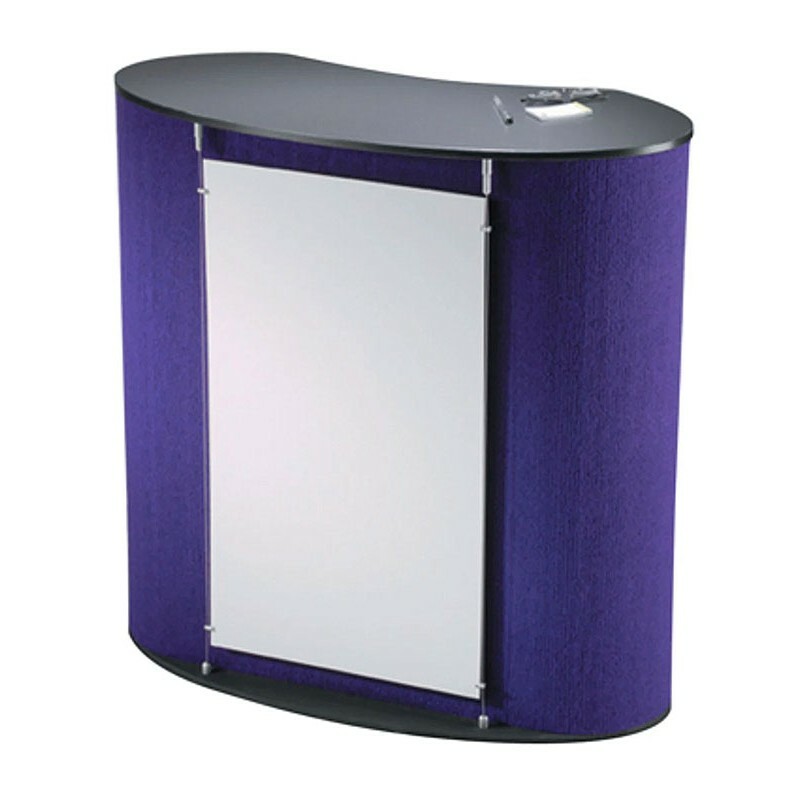 Easy to assemble and collapse down in minutes, the lightweight portable exhibition workstation can be supplied with an optional carry bag or protective hard case for convenient and compact transportation and storage.